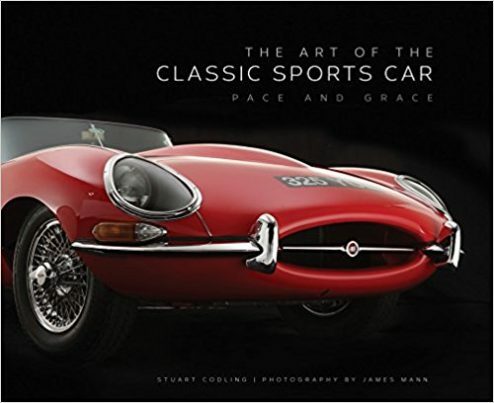 The Art of the Classic Sports Car offers enthusiasts a beautifully illustrated review of several decades of high-performance cars, featuring cars from around the globe all shot in the studio to ensure a handsome and desirable book. Each featured car includes a profile discussing the car's place in sports car history along with technical and performance specs as well as a smattering of historical images and period ads. "What was the first sports car?" will often incite a heated debate among enthusiasts. Still, most car fans feel that they know a sports car when they see one and when asked to name a few will rattle off a remarkably similar list of name plates: Jaguar, Corvette, Triumph, MG, Aston Martin, Ferrari, Lotus, Alfa-Romeo, BMW. Pressed harder, more exotic and obscure brands will emerge: DB, Alpine, Bugatti, Lancia.